If your Queue or Sigaretta lighter is having trouble lighting, it is time for a little loving care and maintenance. Remove the wheel unit; pull straight out. NEVER twist when pulling out the unit. Inspect flint—it should be changed as soon as it is about 1/3 of its original size. Otherwise, the spring in the flint-assembly will lack enough power to push it up against the flint-wheel, resulting in the wick not lighting. Make sure that the screw at the bottom of the flint-assembly is tightly closed. This enables the flint-spring to maximize power when pushing the flint against the flint-wheel. Once you have completed replacement and made sure that the flint-assembly cap is tight, place the flint assembly unit back into the lighter. 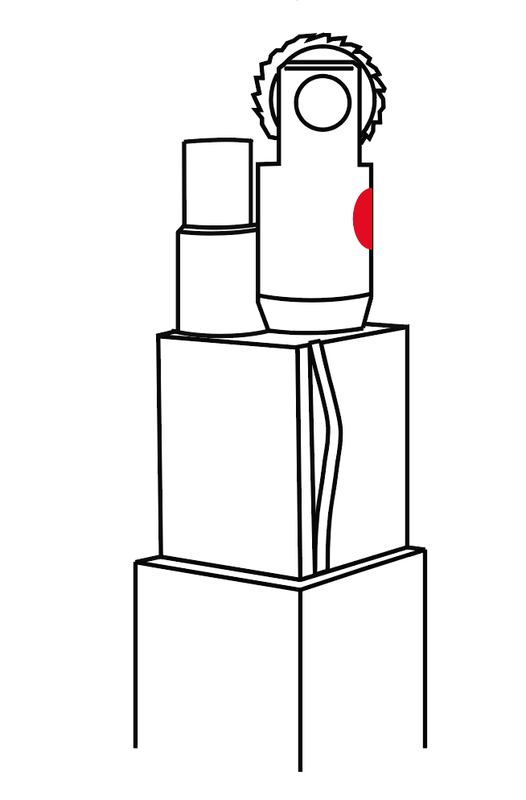 Make sure the red dot on the wheel-unit faces outwards (as shown in the below diagram). Flint has a limited lifespan; monitor frequently, replace before wearing out. 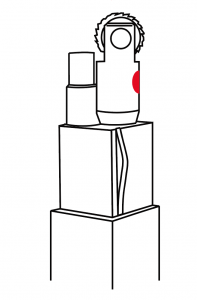 Make sure that there is sufficient wick protruding from the top of the lighter (3.5mm to 4mm is recommended). Pull it out slowly with plyers until the desired length is obtained. Cut the blackened wick with a pair of nail clippers or comparable item. Make sure the lighter is sufficiently filled with lighter fluid. Unscrew the cap at the bottom of the lighter. If the cotton wadding appears white, add a small amount of lighter fluid and stop. Repeat this process for number of times until the cotton wadding has a slight grey appearance. This indicates that it has sufficient fluid. Put back the screw. Keeping enough fuel in the lighter will help the lifespan of the wick, as it will burn fuel instead of the wick! After filling, wipe lighter dry and wash hands before igniting. Now your Queue or Sigaretta lighter is ready for use!